This is a super easy dinner idea! It may just be our favorite dinner recipe that we've posted yet. Mommy said it was really easy to make and we all loved it. It's definitely a one dish dinner, clean up is a breeze. 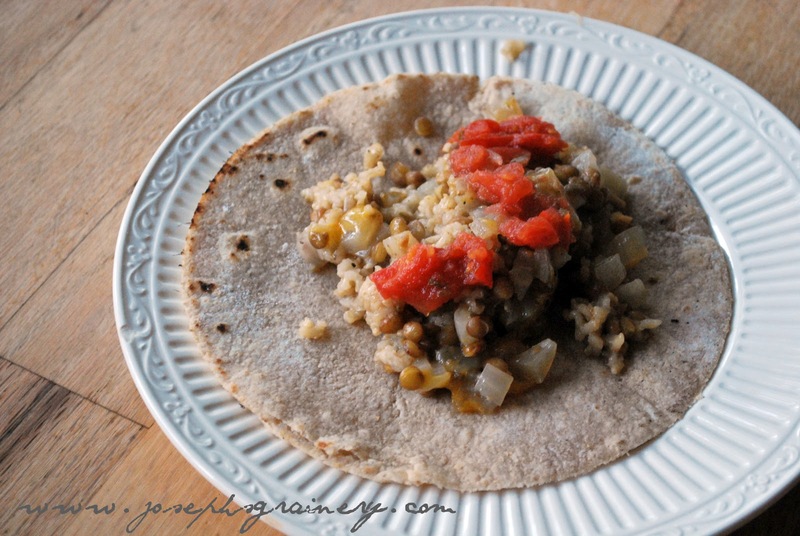 The lentils take on a refried bean-like taste (only better). An easy and healthy dinner the whole family will love. Place all ingredients in a casserole dish, cover with tin foil and bake at 375 degrees for 2 to 3 hours. 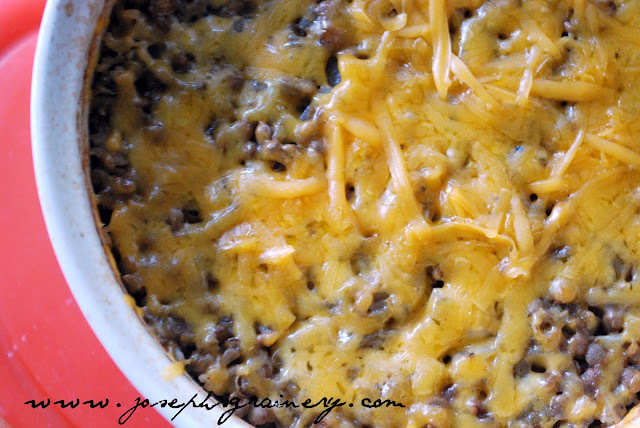 When lentils and rice are cooked, remove from oven and cover with grated cheese. Serve with tortillas, salsa, sour cream, etc.